Respiratory tract infections (RTIs) are infections which affect the organs involved in the exchange of gases in the body, and they range from mild to fatal infections. They can be broadly divided into two: the upper respiratory tract infections (URTIs) and lower respiratory tract infections (LRTIs). URTIs are usually common and self-limiting, involving organs like the pharynges, nasopharynges, paranasal sinuses and tonsils. However, some microbes can cause LRTIs independently or through dissemination from URTIs, affecting organs like the lungs, bronchioles and alveoli. RTIs are caused by a variety of microorganisms including bacteria, viruses and fungi. Bacterial URTIs are usually acute infections which can resolve with little or no treatment. They include Strep Throat caused by Streptococcus pyogenes and Diphtheria caused by Corynebacterium diphtheriae. Strep throat often proceeds to tonsillitis and pharyngitis if treatment is not given fast enough. LRTIs caused by bacteria are usually serious and chronic, especially when treatment is also delayed. Examples are Tuberculosis caused by Mycobacterium tuberculosis and Pertusis (whooping cough) caused by Bordetella pertusis. The well-known pneumonia can be caused by three different bacteria: Steptococcus pneumoniae, Klebsiella pneumoniae and Mycoplasma pneumoniae. Fungal RTIs are less frequent, but are usually chronic in nature due to the filamentous nature of fungi. The most common fungal RTIs are Coccodiomycosis (valley fever) caused by Coccodiodes immiitis and Histoplasmosis (Splunker’s disease) caused by Histoplasma capsulatum. Both infections are common in patients with AIDS or other immunodeficiency states. Viruses are perhaps the most common causative agents of RTIs, given that 70-80% of most RTIs are viral in origin, with bacterial RTIs as secondary, superimposed infections, which also cause complications. Most viruses can cause infections which present the same symptoms or pathologies. For instance, the common cold, otherwise called acute viral nasopharyngitis, is a mild URTI of the nose and throat caused chiefly by rhinoviruses and other viruses like coronaviruses, echoviruses, paramyxoviruses and coxsackieviruses. Sore-throat, another URTI otherwise called pharyngitis, is the inflammation of the pharynx, and it is usually caused by over 45 antigenic types of adenoviruses. Viral LRTIs, like their bacterial counterparts, are more serious and life-threatening. As noted in viral URTIs, different viruses can produces the same infection and diseases. Examples include Bronchiolitis caused by respiratory syncytial virus (RSV), influenza virus, parainfluenza viruses and coronaviruses to mention some. Other diseases include viral pneumonia, which like bacterial pneumonia is an inflammatory diseases caused when fluids fill the alveoli. Viruses which commonly cause pneumonia include influenza virus, RSV, adenoviruses and metapneumovirus. Others include herpes simplex viruses (HSV), varicella-zooster virus (VZV) and cytomegalovirus (CMV). Severe acute respiratory virus (SARS) is caused by a coronavirus now known as SARS coronavirus. It is a serious form of pneumonia resulting in acute respiratory distress and sometimes death. Also, there is Respiratory syncytial virus infection common in infants and young children caused, as the name implies, by RSV. While the various infections and diseases mentioned above are caused by different microorganisms and result in varying pathologies, most if not all, are transmitted basically the same way: through contact with respiratory droplets from either infected individuals or inanimate objects. In another words, it is contracted through nasal discharge from infected people. During the infection cycle of these microbes, especially viruses, cells of the respiratory system are destroyed, including the immune cells, paving way for secondary infection from bacterial or fungi. Also, viral infection of the upper respiratory tract are usually localized, that is, they don’t spread toward the lower tract; although, super-infection by bacteria may occur, leading to dissemination. 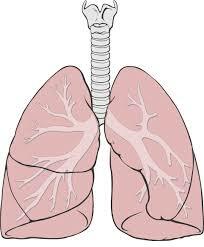 LRTIs are more serious and severe due to their interference with the exchange of gases in the lungs as a result of inflammation (bronchiolitis) and influx of fluid into the lungs (pneumonia). Generally, dominant symptoms of URTIs and LRTIs are due to the inflammatory response of the body defense system. These symptoms include runny nose, nasal congestion, coughing, headache, fatigue, breathing difficulty, fever, dizziness and even coma and death. The modes of transmission of both URTIs and LRTIs are basically the same, hence the methods of prevention are also the same: avoiding contact with nasal discharges from infected persons and regular washing of hands. Treatments are however different from one disease to another because of the nature of microorganisms involved. Antibiotics/antibacterial drugs are used in treating infections caused by bacteria, while antivirals drugs are used in treating those caused by viruses. The use of antibiotics is ineffective against virus-induced infections, though they can be used to treat bacterial secondary or super-imposed infections. Use of antibiotics should also be cautioned against in treating RTIs as they can lead to death of the normal microbiota of the body and/or emergence of virulent, antibiotics-resistant bacteria which can cause secondary bacterial infection. More comprehensive articles would be written later where incisive and intensive discussion would be given on individual respiratory tract infections and diseases together with their causative agents, pathogenesis, symptoms, epidemiology, prevention, control and treatment. It is wonderful to uncover a site about my fascination. My very first check out to your website is been a huge assist. Thank you for the endeavours you been putting on creating. your site such an fascinating and informative place to look through via. Thanks for your comment. If you have other subjects you want to know more about, kindly let us know. Thanks again.